← The Orphaned Images Project: Brown, North Platte, Nebr. 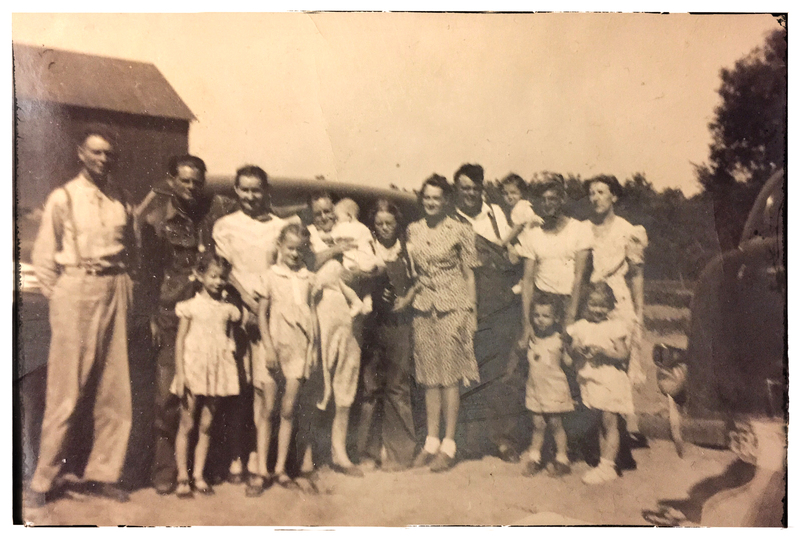 L. to R. Tom Allen, William “Bill” Allen, Lou Cagle Allen, Abbie Allen holding Carol Sturm, Bob Sturm holding Bobbie Sturm, Darrel Ray Allen, Florence Cross. Children in front: Donna & Barbara Allen, Laury and Florence Louise Cross. Far right: Aunt Florence, Florence Louise and Laury Cross. This entry was posted in portrait photography, vintage photograph and tagged photography, portraits, The Orphaned Images Project. Bookmark the permalink.